According to an IRmep poll fielded by Google Consumer Surveys the majority of Americans (49.2 percent) believe that Palestinians occupy Israeli land rather than the reverse. The statistically-significant survey was fielded on March 9 in four nations and had a margin of error of 1.7-4.3 percent. The U.S. adult internet population is alone in North America believing that Israelis are under a Palestinian occupation. 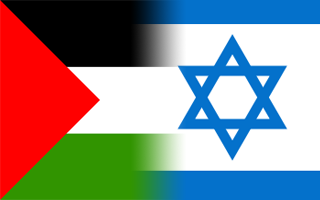 A simultaneous survey of Canadians reveals that 51.4 percent correctly believe Israelis occupy Palestinian land, while 54.6 percent of Mexicans also believe Israel occupies Palestinian territory. However, understanding the situation on the ground is important for Americans. Though not widely reported, 9/11 Commission testimony revealed that Israel’s ongoing occupation and humiliation of Palestinians and unconditional US support for Israel and repressive regimes in the Middle East were major motivators of terrorism against the United States. The United Nations Security Council began using the term ‘territories occupied’ following the Six-Day War precipitated by Israel’s sneak attack on Egypt in 1967. UN Resolution 242 called for withdrawal of Israeli armed forces from territories Israel occupied in order to establish peace in the region. Instead, Israel annexed East Jerusalem in 1980 and the Golan Heights in 1981. Neither move has been recognized by the international community. Israel’s annexation of Jerusalem was declared « null and void » by UN Security Council Resolution 478, while UN resolution 497 declared the same over Israel’s annexation of the Golan. Israel withdrew military forces from Gaza in September 2005, but retained control over Gaza’s frequency spectrum, tax revenue, airspace and coastline. Israel continues to be designated as an occupying power by the UN. In the United States, politicians seeking support from Israel affinity organizations are discouraged from using the term “Israeli occupied territories.” Many prefer to follow AIPAC’s and the Israeli government’s formulation that the West Bank, East Jerusalem and Golan are “disputed territories” in order to avoid upsetting large pro-Israel campaign contributors. Although there are no major establishment news organizations reporting on or even alleging any Palestinian occupation of Israeli territories, the media’s overwhelmingly negative coverage of Palestinians – including its bids for statehood, the nonviolent BDS movement, and resistance to Israeli attacks – all likely contribute to Americans’ fundamental failure to grasp essential facts about the situation in the Middle East. IRmep is a Washington, DC-based nonprofit researching US Middle East policy formulation.